The Ashford Estate, listed under "Country Estate Weddings" by Weddings of Distinction, is a beautiful and unique venue, offering both rustic romance with its barn house chapel, and regal elegance with its breathtaking manor. Summer or winter, this estate creates a magical atmosphere perfect for creating one of a kind memories. Inspired by the beautiful venue, we got together with some of the best vendors to create a dream wedding stylized shoot. Stephanie Somodi, owner of Designing the Most Inviting Day, provided us with a beautiful invitations, highlighting her amazing talent for detail. Magnolia Exquisite Florals and Event Decor created all of our stunning bouquets and amazing tabletop arrangements with china provided by Rumson China and Glass. Our wonderfully talented models came to us from Wilhemina Philadelphia, bringing our ideas for a dream wedding to life. 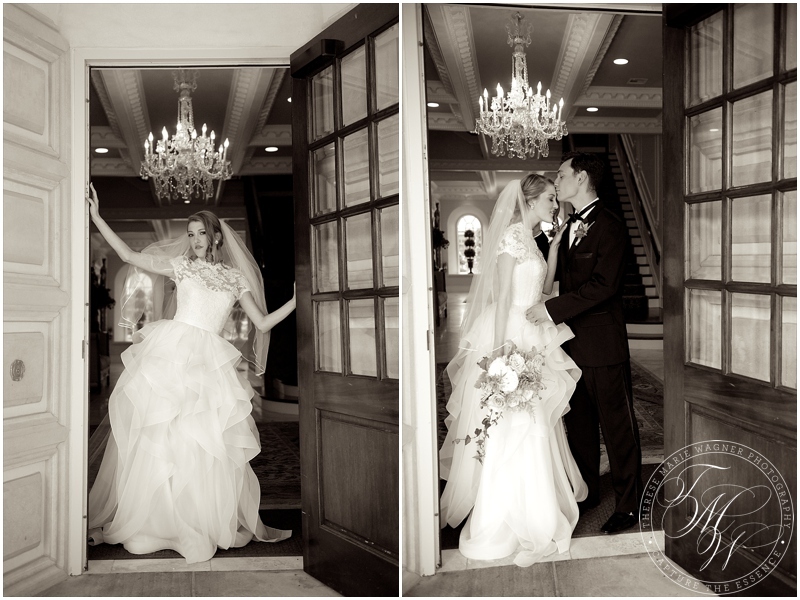 Allison and Brooke wore gowns from Elizabeth Johns Bridal Salon. The whole look came together with hair by Michelle Azouz and makeup done by Amy Jones-Baskin and Cassidy Renee Boch of Beauty on Location NJ. Thank you to the Ashford Estate, and to everyone involved in making this incredible day a reality. We couldn't have done it without all your time and hard work!